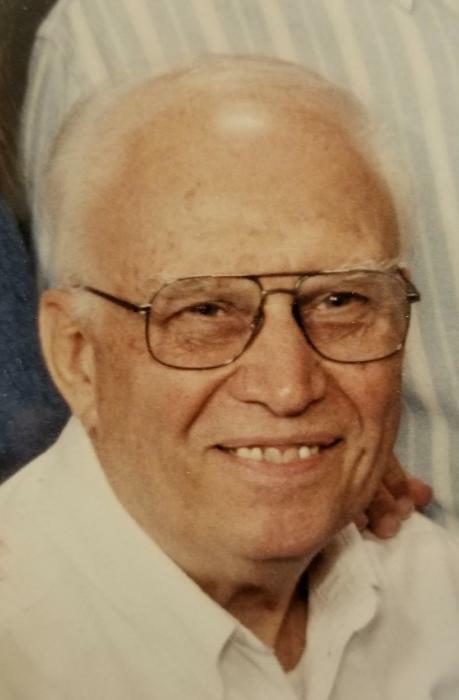 Frederick Herbert Ingrish, 90, of Rogers, Arkansas passed away Thursday, November 8, 2018 at his residence in Rogers surrounded by his family. He was born December 15, 1927 in Chicago, IL to Ferdinand and Edith Rowe Ingrish. He proudly served in the United States Navy. After his active military service ended, he and wife Dorothy married in 1952 and settled in Des Plaines IL. His career was in the HVAC and sheet metal industry. Upon retirement he and Dorothy moved to Rogers where he designed and built the lovely home they have shared here for over 35 years. He enjoyed woodworking, repairing old clocks, big band music, square and round dancing, fishing, and fixing anything that didn’t work correctly. He was preceded in death by his parents and older brother Jim Ingrish of Des Plaines IL. Kathi Ingrish of Matthews, NC and Sheryl Dorton and husband Don of Charlotte, NC. He will be laid to rest at Ridgewood Memorial Park in Des Plaines IL at a later date.